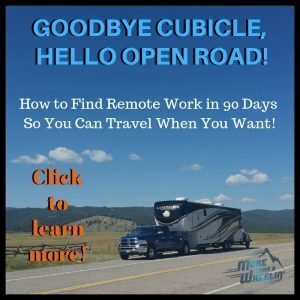 In 2018, we met a wonderful couple of RVers who are on their own journey. 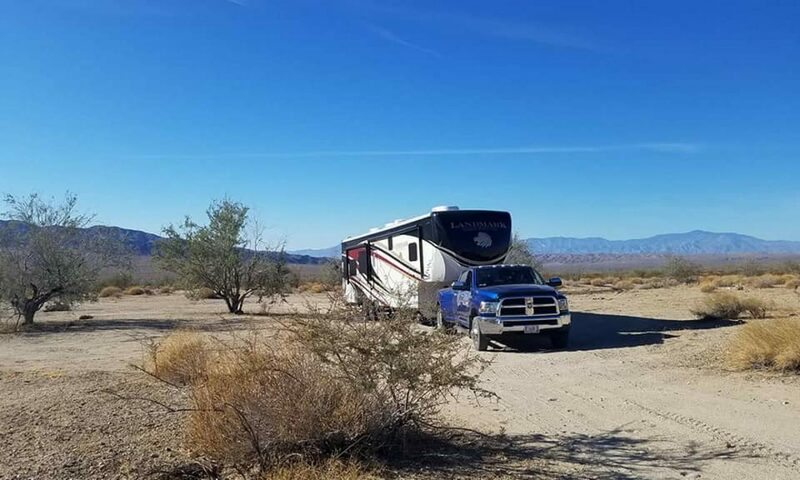 We asked them if they would like to be our guest blogger to explain how and where RVers can enjoy dark sky camping. We’re honored they obliged. So pull up a seat and we hope you enjoy what they share. 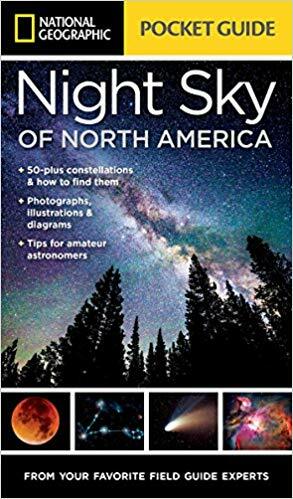 As RVers and amateur astronomers, one of the things we look for is dark sky locations far away from the light pollution of cities. While these locations are getting harder to find, there are still plenty of places where you can visit to experience the darkest skies and the wonder they hold. Since the beginning of time, humans have looked up towards the stars. The bright pinpoints of light have been used as navigation tools, helped farmers determine when to plant and harvest crops, and are at the center of stories and myths from every culture. Just one hundred years ago, anyone, no matter where they lived, could look up at night and easily see the Milky Way and its thousands of stars. Today, over 80 percent of the world’s population lives under the inappropriate or excessive use of artificial light – known as light pollution. This light pollution, or skyglow, interferes with millions of people’s ability to see the brightest stars in the sky. Many people have never seen our own Milky Way, the galaxy they call home. This image shows the dramatic effect that light has on viewing our night sky. The Bortle Dark-Sky Scale measures the night sky’s brightness at a particular location. Class 1 is the darkest sky on Earth and Class 9 shows what the sky looks like from the inner city. Courtesy of the International Dark-Sky Association. Light pollution is something that affects us all. The website Light Pollution Map shows an interactive map of the skyglow of the United States. It is easy to see why most observatories are located in the west and southwest where darker skies are easier to find. Image from LightPollutionMap.Info showing the United States light pollution. 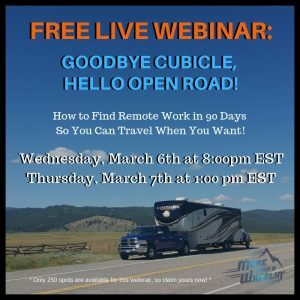 As RVers, we are able to travel wherever we want. However, if you are searching for dark skies then the western half of the United States is where you’ll want to go. The International Dark-Sky Association (IDA) works to protect the night skies for present and future generations. 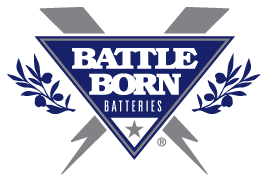 Their mission is to preserve and protect the nighttime environment as well as our heritage of dark skies through environmentally responsible outdoor lighting. They are the recognized authority on light pollution and is the leading organization combating light pollution worldwide. Artificial light has been shown to disrupt the natural cycles of many different species, including birds and sea turtles. Humans natural circadian rhythms are disrupted, causing dramatic health consequences. Reduction in dark skies negatively affects astronomers and their science. Correct lighting makes us feel safer and bad lighting can aid criminals. 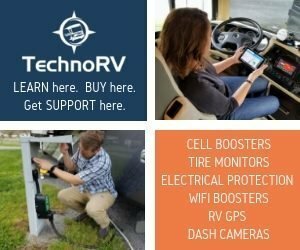 As RVers, what can we do to lessen the impact our lights have on skyglow? Most RVers are conscious of the impact they have on their environment. 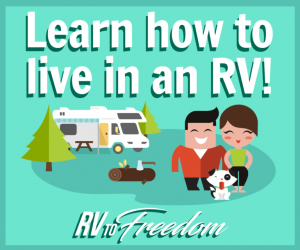 For the most part, RVs don’t emit as much light as say a traditional home and yard. Instead of using the bright unshielded lights on our rigs, consider installing covered directional lights and motion sensors to your RV. Turn off your outside lights at night and draw window shades. 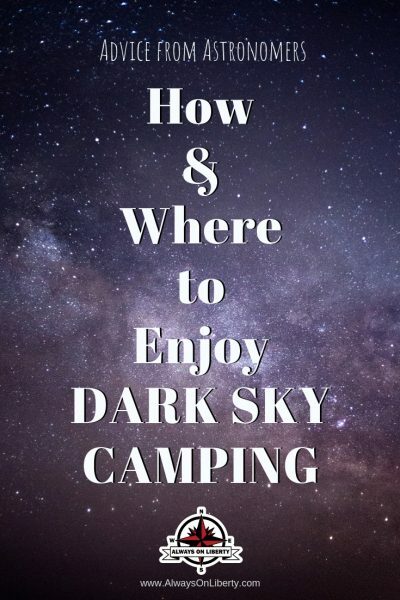 Sky & Telescope offers additional Dark Sky RV Parks in the U.S.
You can download a free mobile app to help you locate stars in your night sky. 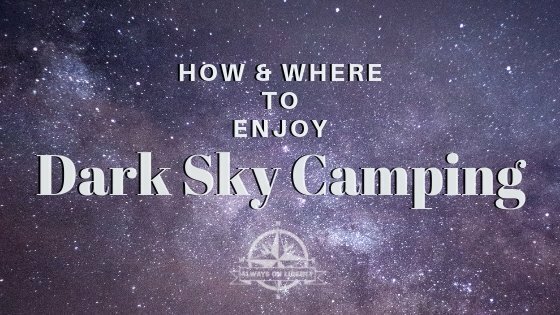 We recommend Sky Portal by Celestron, SkySafari, Skyview Lite or Star Walk. 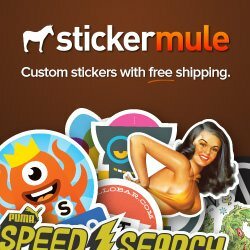 All are free, some have inexpensive ad-free options, and are available for iPhone and Android users. 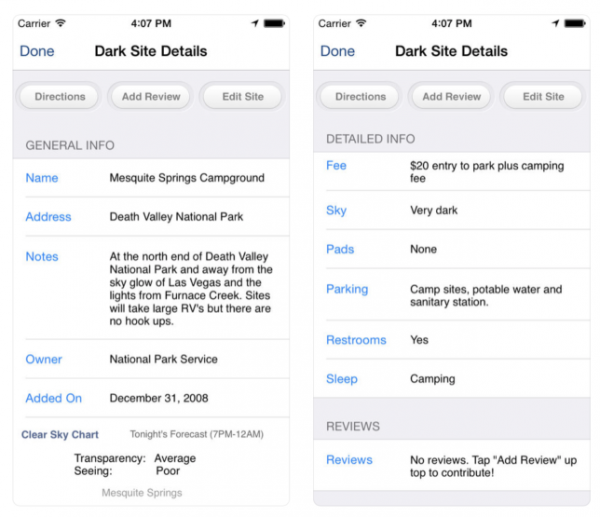 There are two good mobile apps to help you locate dark skies. 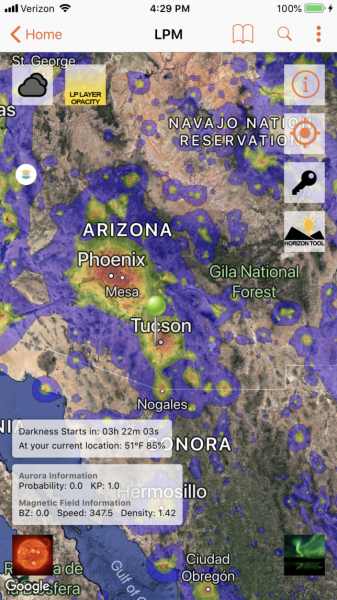 Light Pollution Map (free, available for iPhone and Android) and Dark Sky Finder ($2.99, only iPhone). 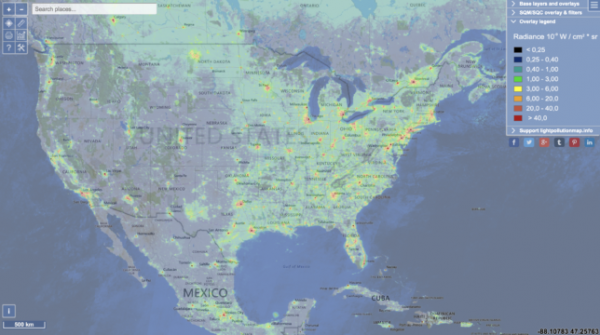 Light Pollution Map allows you to easily locate dark sky locations where the sky will not be affected by light pollution, allowing the best observance, star gazing, and photography of the night sky. Screenshot of Dunbar Technology’s Light Pollution Map app. Dark Sky Finder helps you locate nearby dark skies and also allows you to make a contribution by adding a dark site for others to enjoy. The Dark Sky Finder app gives details of dark sky locations. You can even become a Citizen Scientist with GLOBE at Night or the Dark Sky Rangers and document light pollution in your neighborhood and share the results. Doing so contributes to a global database of light pollution measurements. 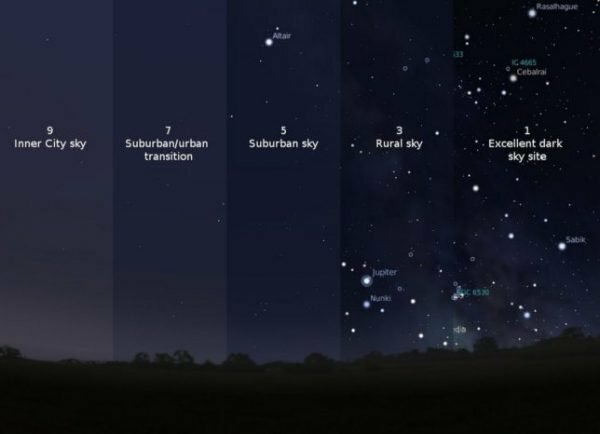 Now is the perfect time to discuss the effects of light pollution. International Dark Sky Week is March 31-April 7, 2019 and April is Global Astronomy Month. Go find a star party near you. We encourage you to talk to amateur astronomers and look through their telescopes. 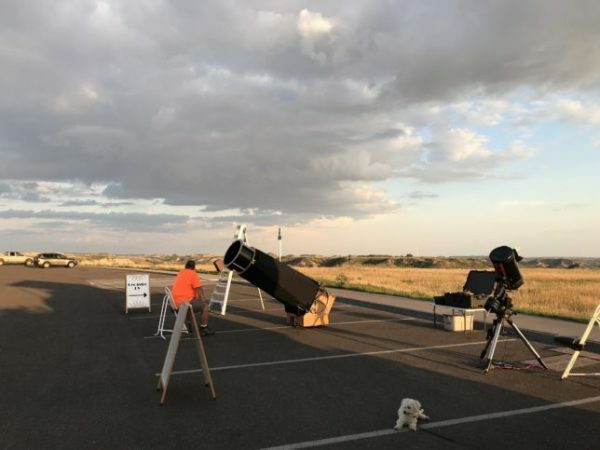 Search for local astronomy groups and clubs. Many star parties are often held at or near a National Park; many of which boast dark skies. Help support your National Parks, Monuments, and Historic Sites by attending talks, star parties, and other astronomy-related events. There is nothing more awe-inspiring than to look up into a sky filled with stars. It makes us feel connected to each other and to the greater universe. We do have to offer a word of caution, though. Going outside to view the stars, planets and other celestial objects may cause one to purchase a telescope. Or several. You have been warned! This is the full-sized version of The Night Sky suitable for the 40Â°-50Â° latitude zone (northern United States and parts of Europe). There are also pocket-sized versions available for the same latitude zones. The Stellarscope displays all the main stars and constellations of both the Northern and Southern hemispheres. 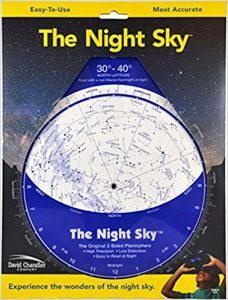 Just find the right latitude adapter and microfiche star map,rotate the tubes to align the date and time, take aim, and start calling the stars by name. This pocket-size stellarscope is only 6 3/8 inch long. It works anywhere between latitudes 20 degrees and 60 degrees North or South. 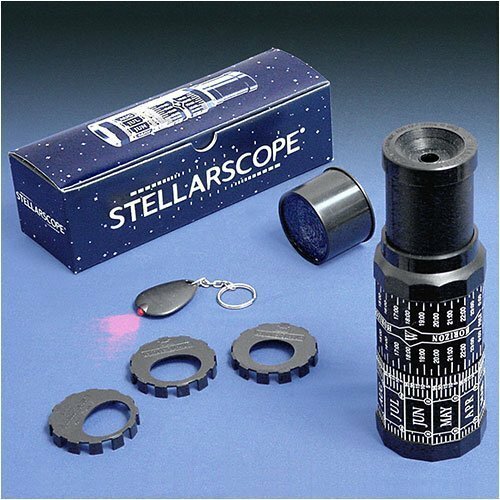 Includes a key chain with a red light for night-vision safe viewing of the star maps. 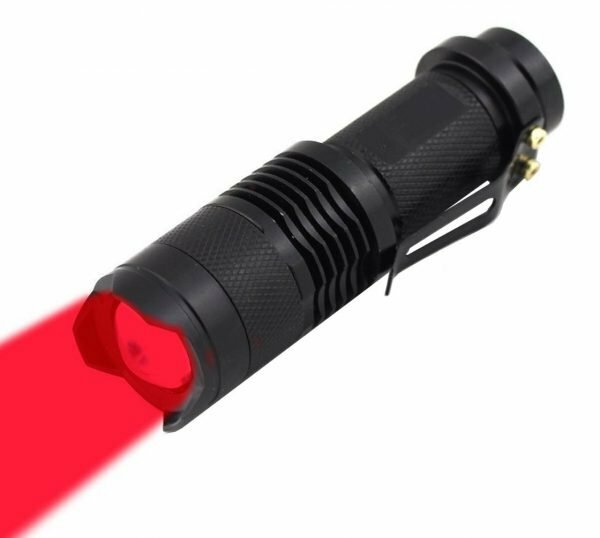 Red lens flashlights makes it easier for your eyes to adjust quickly to the darkness. This is what you’ll need to light your path or read your stargazing guides. John and Brenda wanted to primarily see the geology of the National Parks while seeking dark sky astronomy locations across North America. They came up with the idea of following in the footsteps of John Dobson by sharing astronomy presentations for free along their journey. The Nejedlo’s goal has been to cultivate relationships with different National Parks. Their first park was Theodore Roosevelt National Park in North Dakota where John and Brenda will be returning again this year. In addition, they will be spending most of May 2019 at Homestead National Monument of America, located in Beatrice, Nebraska. Preparing for a night presentation at Theodore Roosevelt National Park. Make the clouds go away! They have enjoyed giving free presentations to FMCA, Escapees, Xscapers, and Full-time RV Families. While their first love has been presenting at National Parks, they can also give presentations at State and private parks, schools, churches, and businesses. They really enjoy meeting other RVers along their route and sharing a dark sky location. Check out their itinerary! 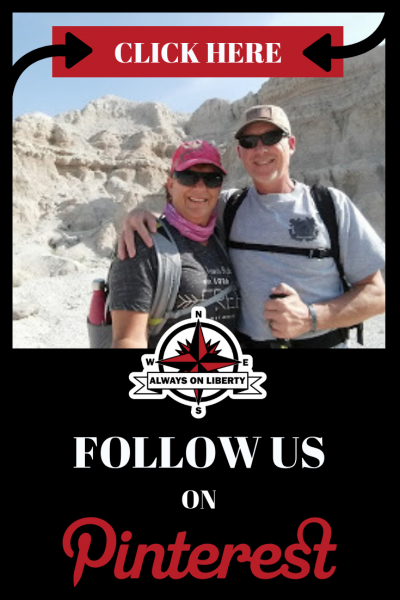 You can follow them on their dark sky journey and even request a meet up at their blog or on Facebook. Which National Park Pass Should I Get? 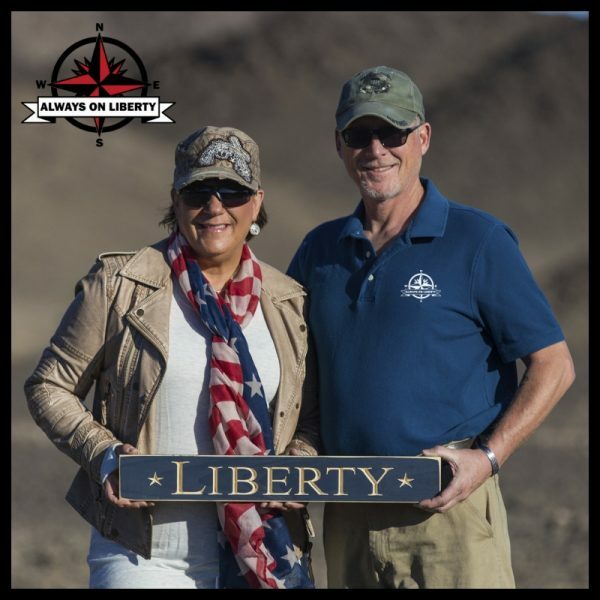 If you are interested in contributing as a pro-bono guest blogger, please contact us at info@alwaysonliberty.com We ask you to be patient with our response. Blog must pertain to RVing or camping.